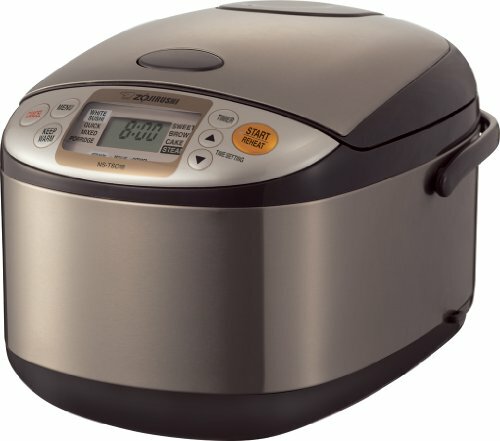 The Tiger JBV-S microcomputer controlled rice cooker allows you to prepare two dishes simultaneously with the new "tacook" synchronized cooking function. 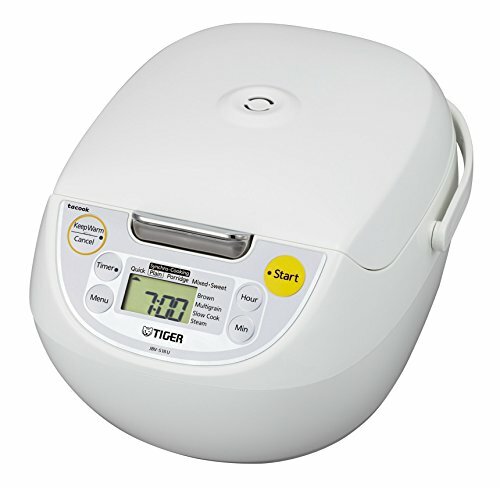 Prepare fluffy rice, steamed vegetables, slow-cooked meat, and more in the Tiger 4-in-1 rice cooker and warmer. This versatile cooker features a digital control panel with 10 cooking settings for guess-free cooking. It automatically stops cooking when the selected program or timer elapses, and keeps food warm until you're ready to serve it.